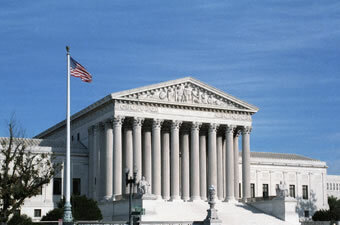 Lawffice Space - Employment Law Blog by Philip Miles: 2012 SCOTUS Employment Law Preview! 2012 SCOTUS Employment Law Preview! Whether, as the Second, Fourth, and Ninth Circuits have held, the Faragher and Ellerth “supervisor” liability rule (i) applies to harassment by those whom the employer vests with authority to direct and oversee their victim’s daily work, or, as the First, Seventh, and Eighth Circuits have held (ii) is limited to those harassers who have the power to “hire, fire, demote, promote, transfer, or discipline” their victim. You can read my previous coverage here, or check out SCOTUSblog's coverage here. Whether a case becomes moot, and thus beyond the judicial power of Article III, when the lone plaintiff receives an offer from the defendants to satisfy all of the plaintiff ’s claims. You can read my analysis of the Third Circuit opinion here, and the grant of cert. here, and SCOTUSblog's coverage here. I love it when the Supremes agree to hear an old Case of the Week! Whether the Third Circuit correctly held—in conflict with the Fifth, Seventh, Eighth, Eleventh, and D.C. Circuits—that ERISA Section 502(a)(3) authorizes courts to use equitable principles to rewrite contractual language and refuse to order participants to reimburse their plan for benefits paid, even where the plan’s terms give it an absolute right to full reimbursement. Read my previous coverage here, or SCOTUSblog's coverage here. There are a few more cases that have some employment law-ish overtones, or focus on narrow issues. For example, Comcast v. Behrend (SCOTUSblog) will address the evidentiary burden for class certification at a district court (not an employment law class action in this case, but could still have some ramifications). The Court will address a jurisdictional issue for mixed cases (disputed termination and unlawful discrimination) involving federal employees in Kloeckner v. Solis (SCOTUSblog). Finally, the Court will analyze the use of race in university undergraduate admissions in Fisher v. University of Texas at Austin (SCOTUSblog) (not technically employment law, but you never know how issues involving race discrimination and the Equal Protection Clause may creep into subsequent employment law analysis). I'll be on the lookout for more employment law cases as the Supreme Court grants petitions for certiorari. Also, note that the Supreme Court will now be issuing opinions and orders at 9:30 instead of 10:00.